Ann (anncruise) received this article from a friend who got it from Lets-Travel-More.com. Since I can’t go there to see the Boys this article seems appropriate. So, if any of you believe this and decide not to go to such a horrible place AND you just happen to have tickets to a concert..say…in Verona. Ann and I will take them off your hands. Jane, this one will tug at your heart. There are many many reasons why you should never visit Italy. Here are the top 10. If you have already visited Italy please do not do it again. Why would someone visit Rome? Because of its history and countless monuments and statues? 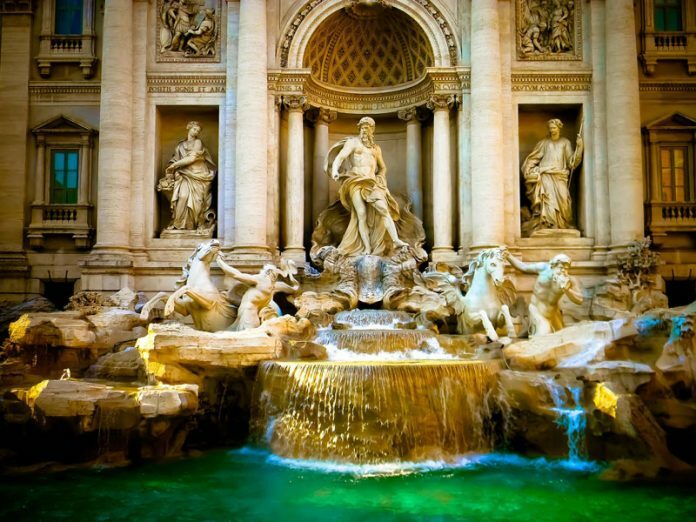 Art, beautiful alleys, nice people, the famous Trevi Fountain, the Colosseum, the Vatican city and hundreds museums are a few of the reasons why you should never visit Rome. Never ever visit Florence. Too much romance, history and beauty. The city is not big or small. It has the perfect size and is considered one of the most walk-able cities in the world. Who wants to walk? 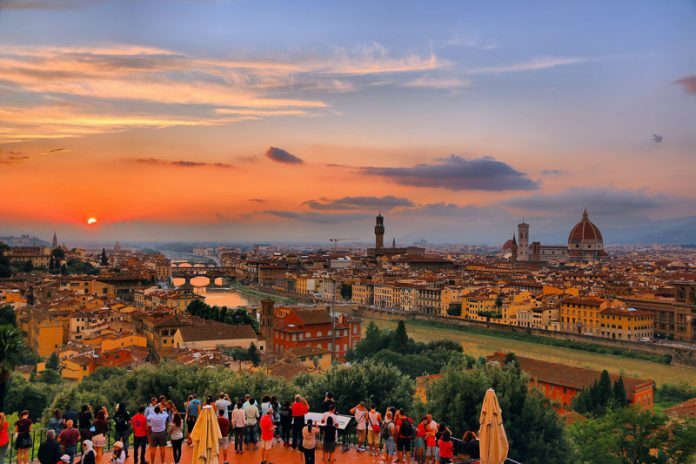 Plus, why would someone want to visit Duomo, the magnificent Basilica di Santa Maria del Fiore? Gelato means ice cream. 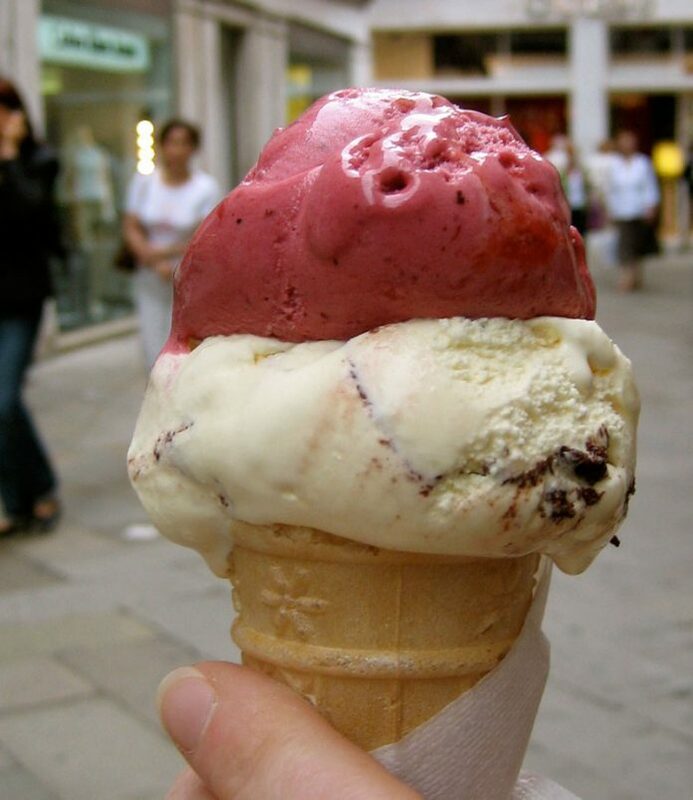 Italy is famous for having the best ice cream in the world. Who cares, who likes ice cream. Just have a look at the photo. Would anyone want to taste this gelato? Another reason why you should never visit Italy and especially Milan is shopping. 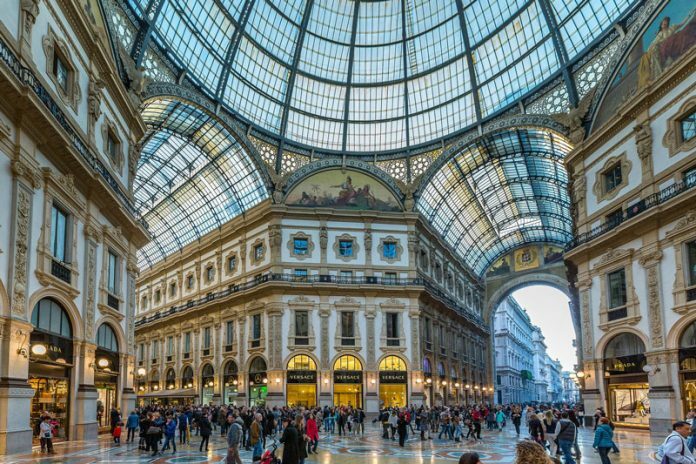 You will find the most famous and most expensive brands in Milan like Versacce, Gucci etc. Italians are well known for their finesse and style. I am sure you hate going shopping as well. Nobody loves wine. Even if it is the best red wine in the world. 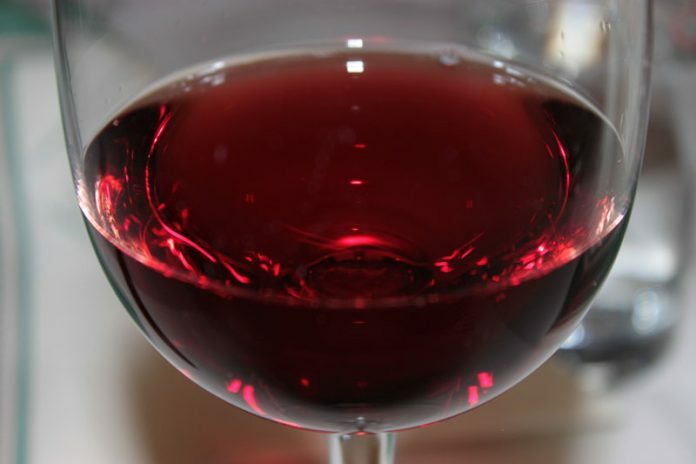 Yes, Italy is known for producing the best red wine. Like we care. We drink no wine, right? 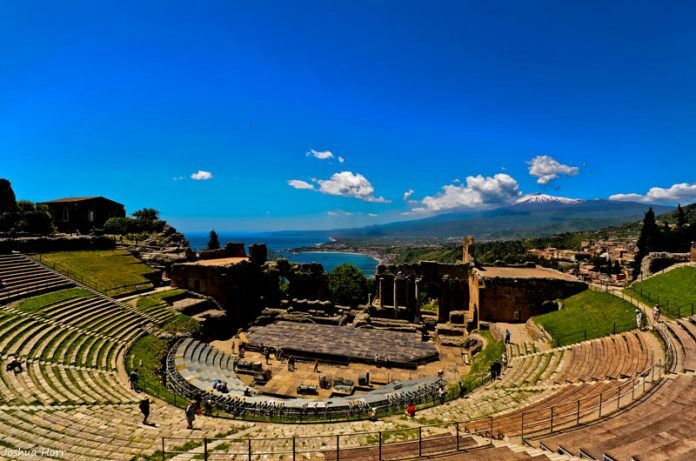 Another famous region in Italy to be avoided is Sicily. Actually Sicily is the biggest island in the Mediterranean sea. It is famous for its history, its turquoise beaches, its seaside cities like Taormina and the Etna volcano you can see in the photo. I almost forget about Italian food. Don’t let the photo trick you. It is much more delicious than it looks like. Pizzas are even more delicious. Many worldwide famous chefs are Italian. 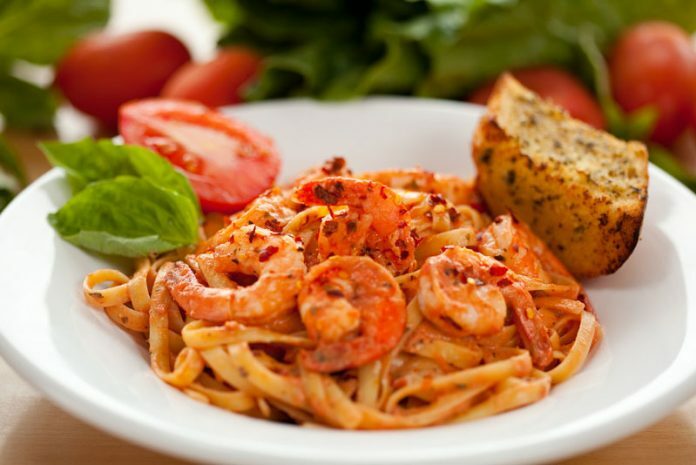 Do not try Italian food, please! Numerous beaches, white sand, turquoise crystal clear water and every beach is unique. 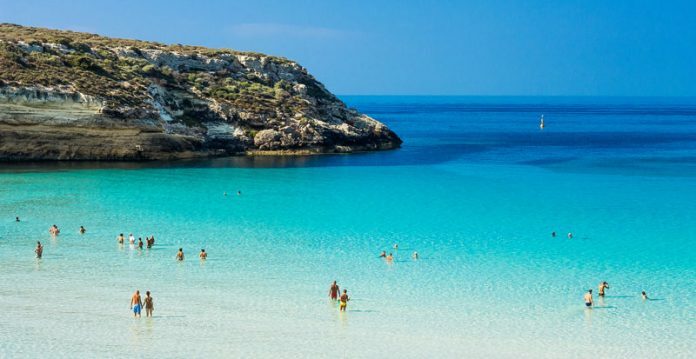 Italy’s Mediterranean climate make the beaches ideal for swimming. Stay away!!! I am sure you have heard of Venice before as I am sure you already know why you should never visit this city. First reason is romance. Having a tour with a gondola during sunset with your partner is something very common in Venice. Plus the city is unique. There is no other city like this one. 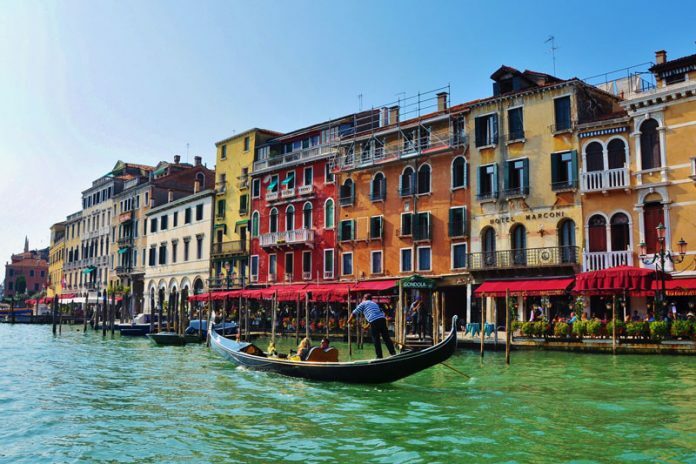 A floating city that instead of roads has canals and instead of cars has small boats called gondola. How can someone live without air pollution? 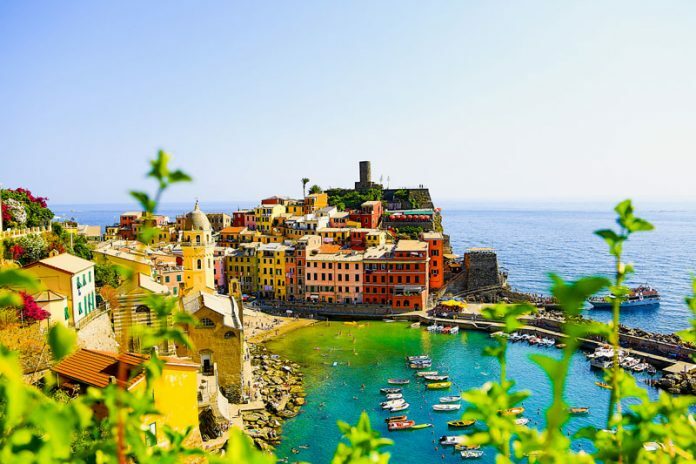 Finally the number 1 reason you should never visit Italy is Cinque Terre. Just have a look at the photo and you will understand. 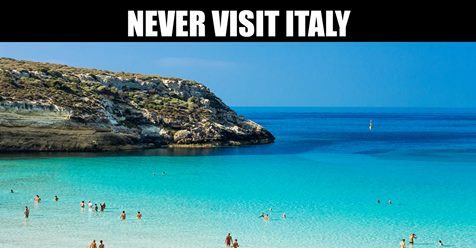 Amazing beaches with turquoise water, colorful seaside villages, the best Italian food and good people are only a few of the reasons to avoid this region and Italy in general. Ah ha!!!! Now I know why I never wanted to return to Italy. Then add IL VOLO and for sure not to return. LOL. Soon!!!!!!! I don’t want to go there again either. I was only offering to take concert tickets to be kind. You forgot the number one reason! Il Volo lives there, and you wouldn’t want to run into one of them or their family members, so please stay away! Yuck, Penina! That would be just awful. Thanks for the warning. Someone glance at Daniela. Does she look mad yet? You are correct, especially about its inhabitants. Penina, you are right. Il Volo would be my number one reason to return. I wish all of you going to attend concerts and see the sights to have the time of your life! I know you will! Was trying to find fault with what you said, Jeannette. Darn it! Couldn’t find a single one. Thank God that I saw this post before I booked the trip,I had no idea it was so awful! Then someone mentioned Il Volo, and I thought if they can live there, maybe I could tolerate it too! Well Jill, the idea of ​​getting crazy all together is really pretty. 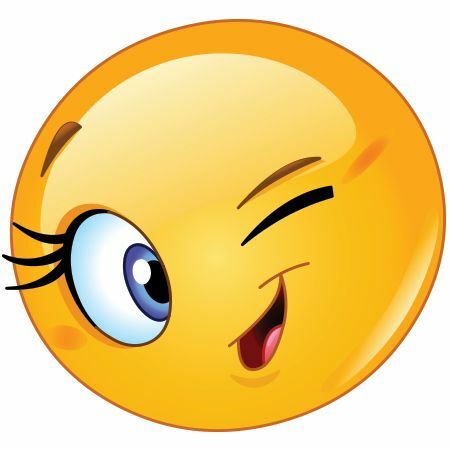 I really thank everyone for the nice and nice things you said. Make me feel proud of my Italy. Not everything is always nice and good. But this is Italy that everyone admires. I don’t think Jane will mind if I speak for her too. We have both, individually, done our share of travel, but we have never traveled anywhere we want to return to like we do Italy. We are smitten by the beauty and the history and the people of that marvelous land. That nice crazy Brescia couple are OK too. I am so annoyed! I have only just seen this post! Earlier this evening I bought our plane tickets from London to Naples for the il Volo concert in June. If only I had seen this post sooner, I could have saved hundreds of dollars. I am going to buy a blindfold so that I won’t have to see any of the horrible sights mentioned. As for eating gelato – well, I will make sure that I do not take an overdose and I will limit myself to a maximum of three a day. I will just have to hope that the airline does not charge me extra for my expanded waistline on the return flight. My only comfort is that I can rely on the Flight Crew to feel sorry for me. Of course, it will be difficult; but your support will get me thru it. I thank you all in advance, in case the worst happens and I am unable to return to England. 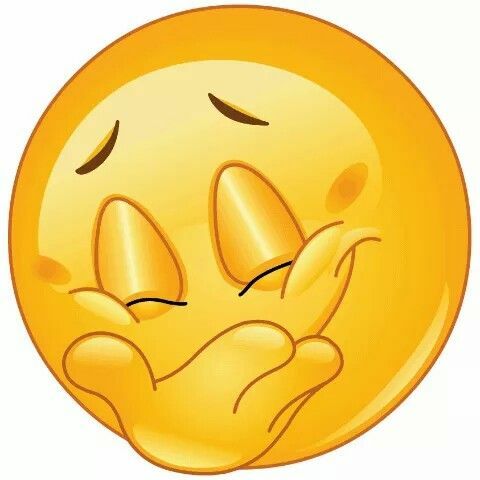 I will have to stomach my mother-in-law’s cooking. If that means that I will have to live to be a hundred, I will just grit my teeth and make the best of it. I am sure that you can all feel my pain! We are here for you, Bernard! oh ha ha ha, Bernard…. Thanks Marie for giving me a reason no longer to be envious of all the people that ‘wasted’ their money buying tickets to concerts, and air planes. Just think of the expense for hotel and food. Lying is a sin. If I won the lottery I would be following the boys all over Europe and Summer tout of Italy. Kidding aside, these are all the reasons I would love to return to Italy, and hopefully get to Sicily. I agree Gina that if I came into a large sum of money, I would be following them throughout Italy also! Gina, if lying is a sin on this site, I’m in a lot of trouble. Yes, well I have been to Italy 9 different trips and was so disgusted that I swore on a stack of renaissance paintings that I would never go again – on the first trip. That is why people had to hold a gun to my head to force me to go the 2nd, 3rd, 4th, 5th , 6th 7th and 8th times. The 9th time it was a knife in the back. Never mind these three Italian kids that could never induce me to travel to – – ? ? ? what was that name of that place again ? Who keeps sticking that gun to your head? You may need better friends. “Stack of Renaissance paintings” ha, ha, ha.